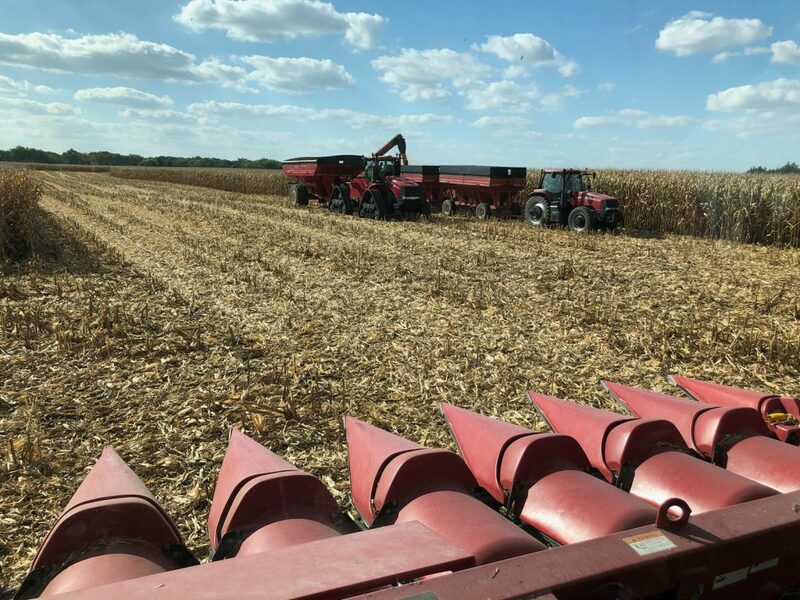 Harvest is underway in Eastern Iowa! Corn is showing nitrogen/potassium stress. As a crop becomes more nutrient stressed, it starts to affect overall plant health. It will compensate in some way to maintain reproduction, so that means stalk integrity could be affected. Be sure to prioritize your fields for harvest. You may start on soybeans and then move to corn. You might have to take some corn at higher moisture than normal, or even take areas of the field out and come back later for the corn that’s standing ok. 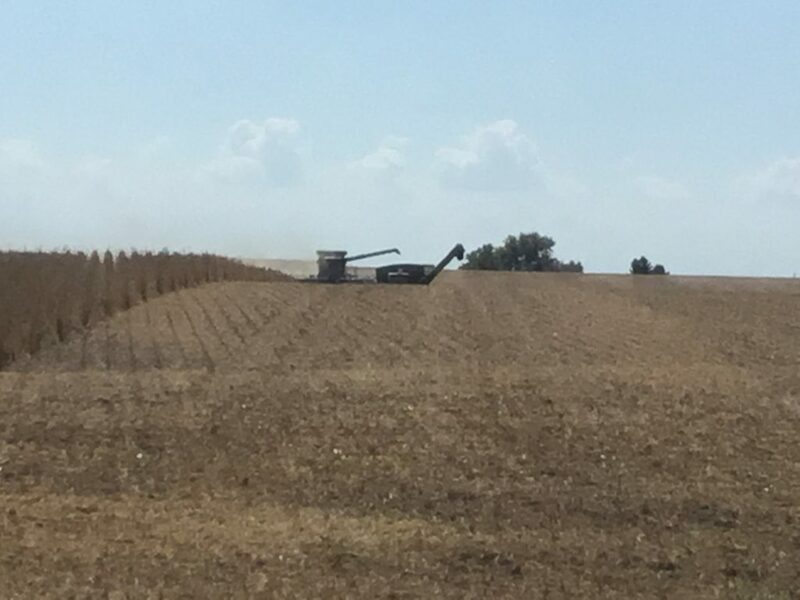 Soybean harvest is underway in Black Hawk and Grundy Counties. 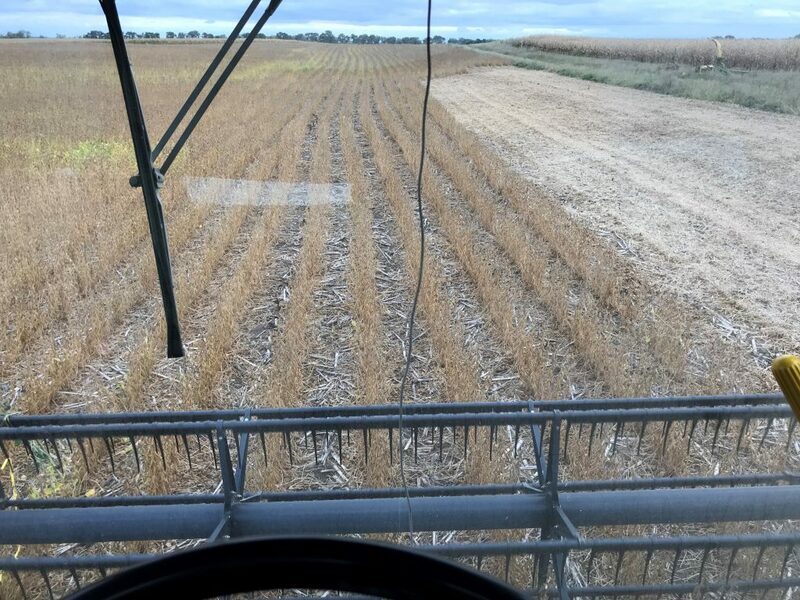 This field of Latham’s popular L 2186 L soybean went 63.6 bushels per acre (bu/A) at 11% moisture. Another 90—acre field of our L 2184 R2X went 65 bu/A at 12% moisture. 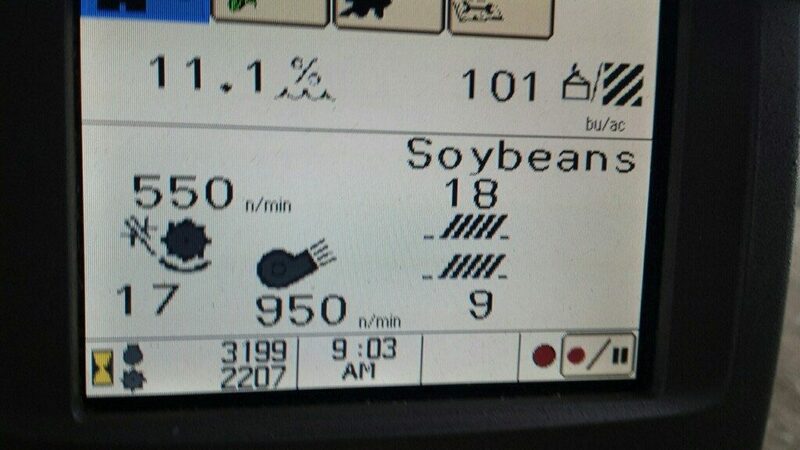 In Grundy County, more of Latham’s L 2186 L Liberty products went around 61-62 bushel at 10-11 % moisture. Very little corn has been harvested in my territory. 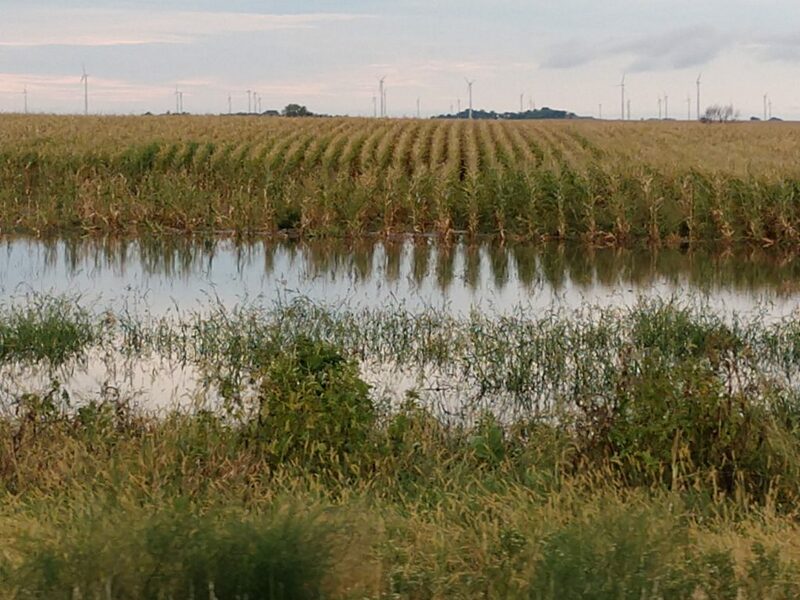 It’s a good time to check your fields for stalk issues to prioritize them for harvest. It’s also a good idea to check moisture because fields are turning quickly. We’ve had a lot of warm weather this past week to 10 days for this corn to dry down. Latham® Dealers Mike and Landon Aldinger of Iowa Falls, Iowa, opened their corn field on Friday, Sept. 15. This has been a growing season of heavy rains. More than 6 inches of rain fell yesterday 2.5 miles south of Garner. If it wasn’t for the rain, more soybeans would be coming out of the field today. 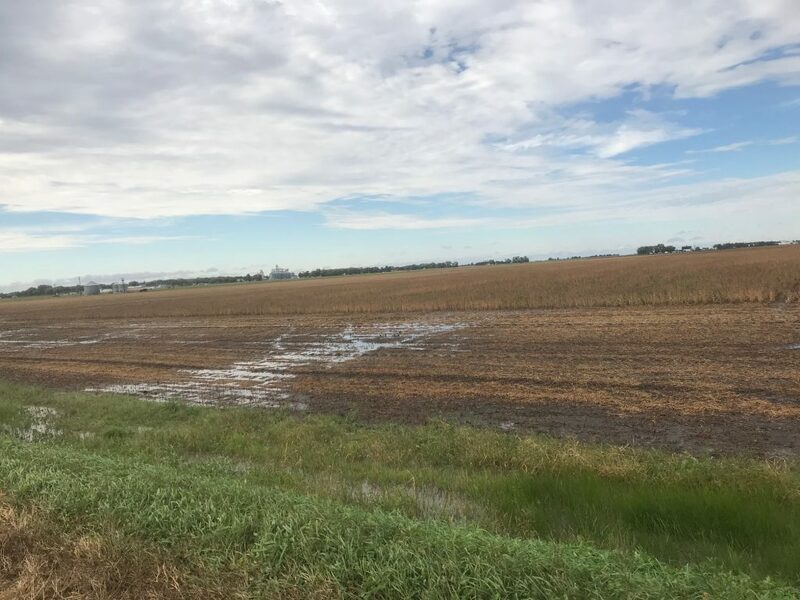 A few fields of both corn and soybeans were combined in Northwest Iowa because rain brought harvest to a halt. One yield report came in yesterday with L 1845 R2X going 73 bushels per acre in O’Brien County. Due to the rain, we help our plot day indoors. 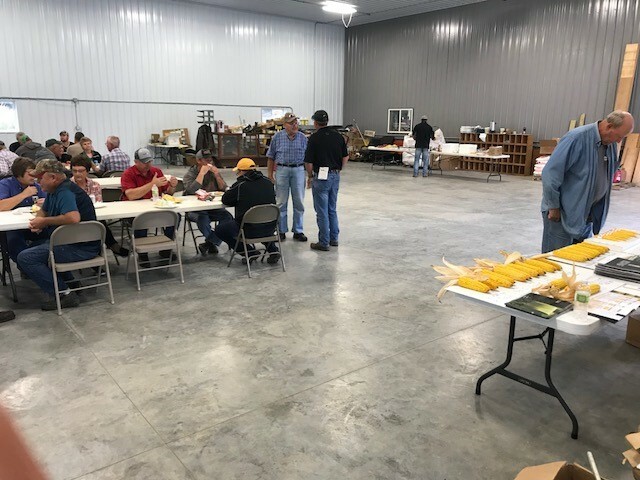 We had a good turn out of farmers to discuss what Latham Hi-Tech Seeds can offer to them with all of our INDEPENDENT OPTIONS. Field work came to a halt after a rain event yesterday. 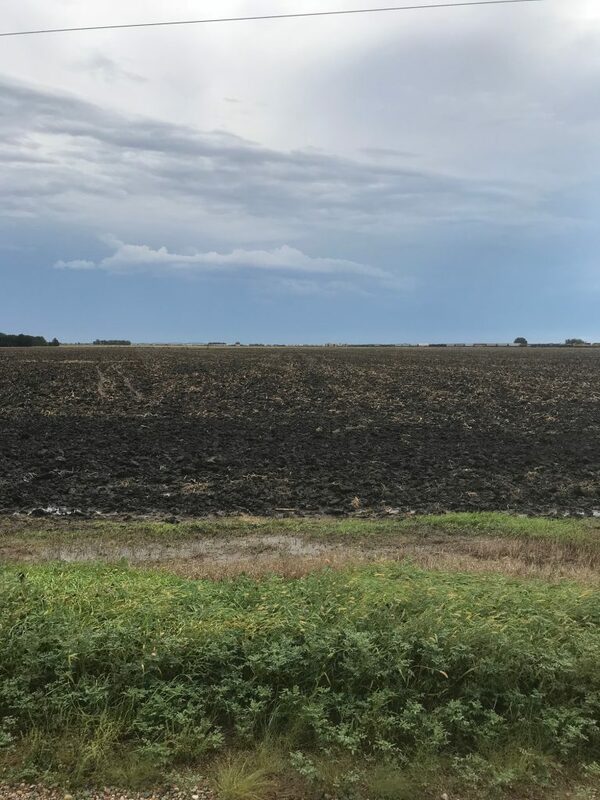 It will be a few days before producers will be able to run again, and more rain is expected Thursday. Harvest is underway in Southern Wisconsin. Soybeans and corn are maturing rapidly with the accumulation of heat units. If the early fields are any indication of harvest reports, we will have lots to talk about this fall and winter. 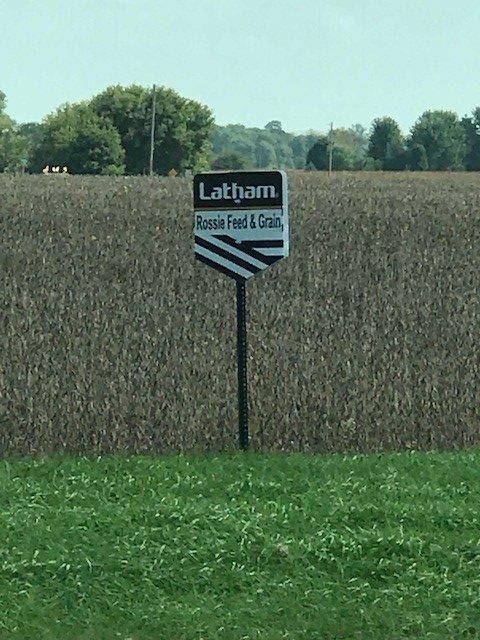 I heard one field of Latham® Hi-Tech Hybrids was harvested this week at 20% moisture. After completing 80 acres, LH 5245 VT2 PRO averaged about 250 bushels per acre (bu/A) and LH 5635 VT2 PRO averaged 240 bu/A. 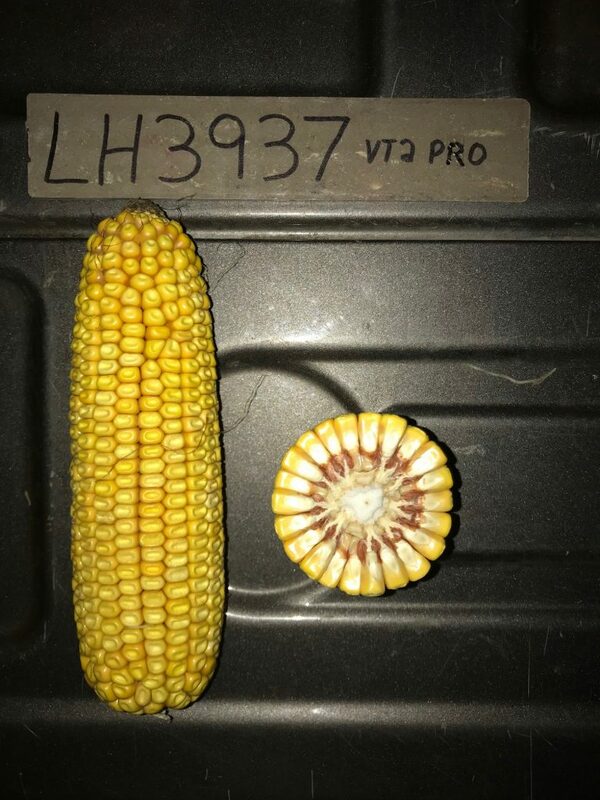 With a 250-bushel average in Southern Wisconsin, it’s no surprise that the ear size is the largest on LH 5249 SS. I randomly selected these ears from the Latham SuperStrip in Watertown, Wisconsin. Stay safe and happy harvesting! 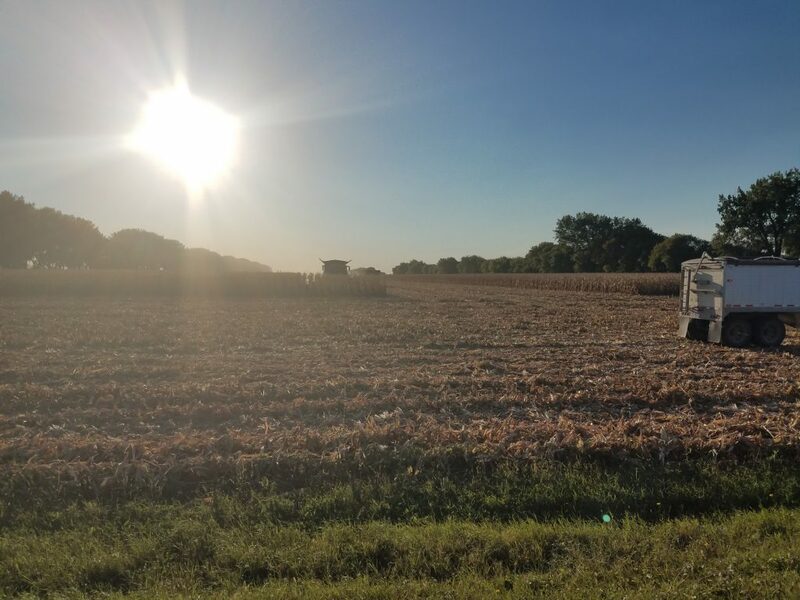 High-moisture corn harvest is in full swing across Northern Wisconsin. Combines are rolling on sandy ground and in early maturity soybeans, too. 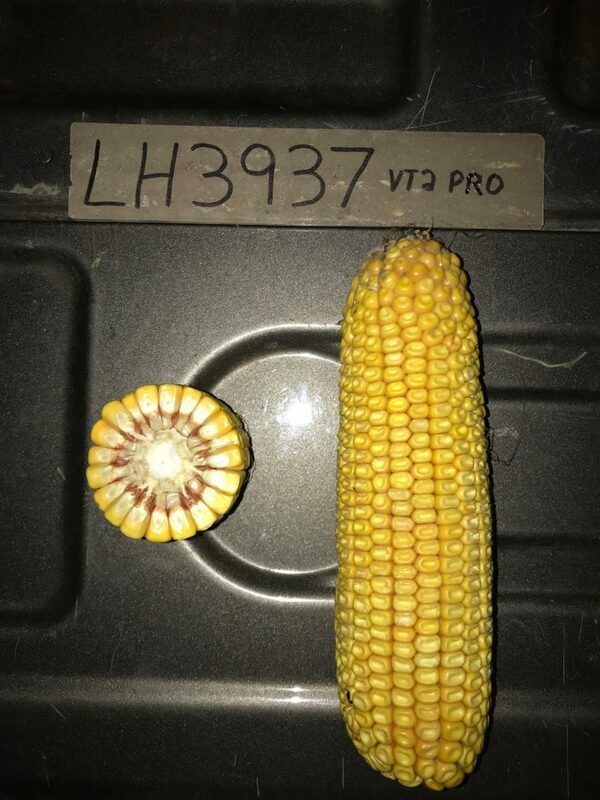 Pictured here is LH 3937 VT2 PRO RIB from our plot in Barron County, Wisc. It was planted at a population of 34,000. I pulled three cobs with 18-20-22 rows and 29-26-26 seeds in a row. It should be fun taking out this to yield! 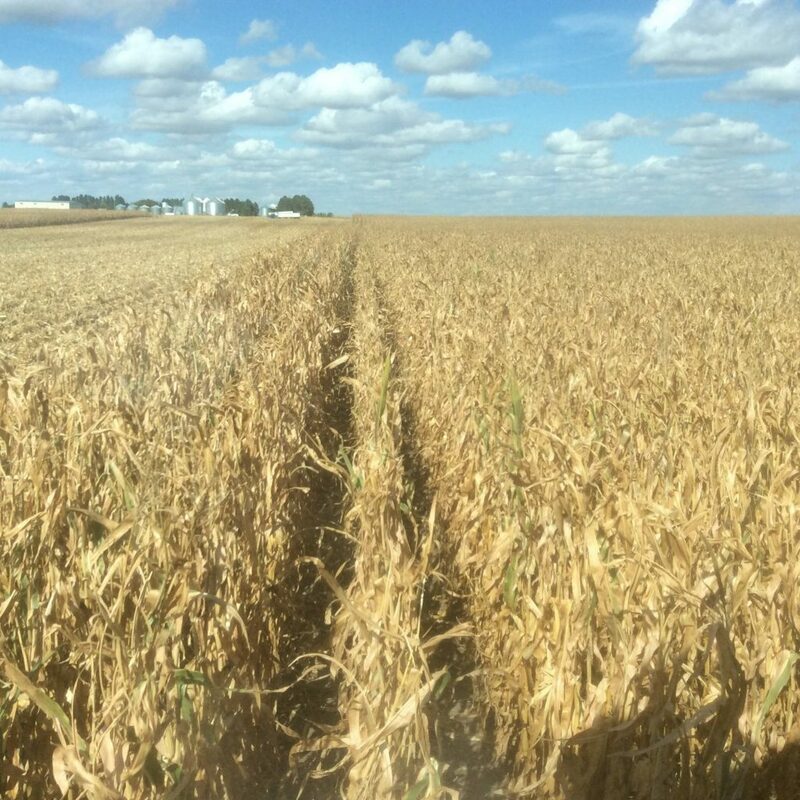 This field of Latham 3695 VT2 PRO RIB near Felton, Minn., averaged 197 bushels per acres with moisture at 21 percent! 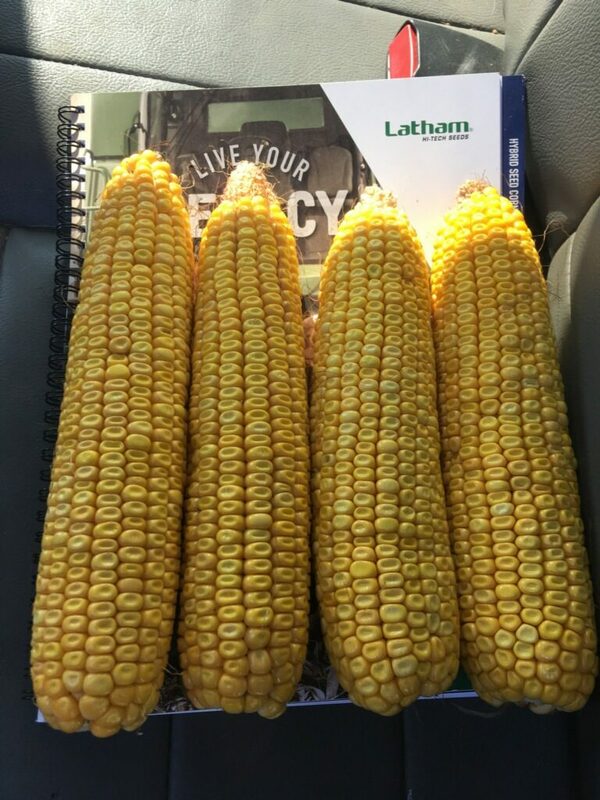 The next picture was taken in Morris, Minn. From left to right are Latham® hybrids LH 5245 VT2 PRO RIB, 4657 VT2 PRO RIB, 4437 VT2 PRO RIB, and 4147 VT2 PRO RIB. I can’t wait to see the field averages in a few weeks. The combines are rolling in the soybeans fields across my region. Overall, the fields look good here. There are pockets that didn’t receive enough rain, so the later varieties lost some top yields because the lack of moisture. The first 2018 harvest yield report from my territory came in Sunday afternoon. 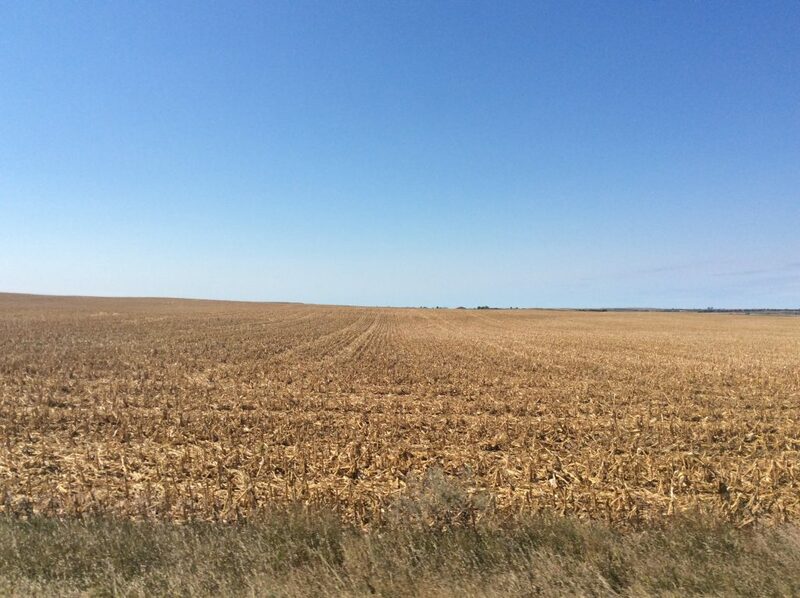 This field of Latham® corn in Jerauld County was running from 193 to 254 bushels and 18 to 19% moisture. 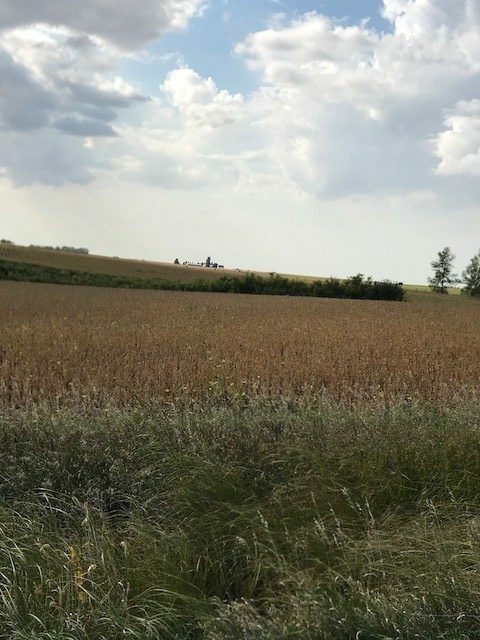 Rain early this week is putting harvest on hold for most growers, but everyone got started on both corn and soybeans this past week. We look forward to full swing harvest next week. This field of L 0982 R2 is ready to harvest at 12 to 13% moisture. 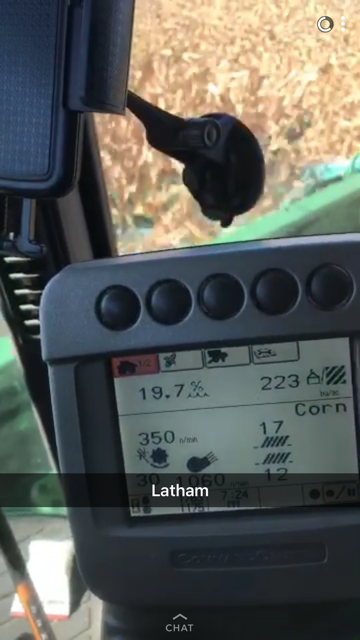 Latham® L 1438 R2’s is yielding well at Frankfort, SD! Harvest is under way in many areas. Yields are ranging from the teens to twenties along 281 N of Redfield in droughty areas. Yields are reaching the 60’s where moisture was ample. Latham L 0982 R North of Sisseton could break 60 bushels per acre! Latham Hi-Tech Hybrids LH 4452 RR was hand-shelled at 23%. 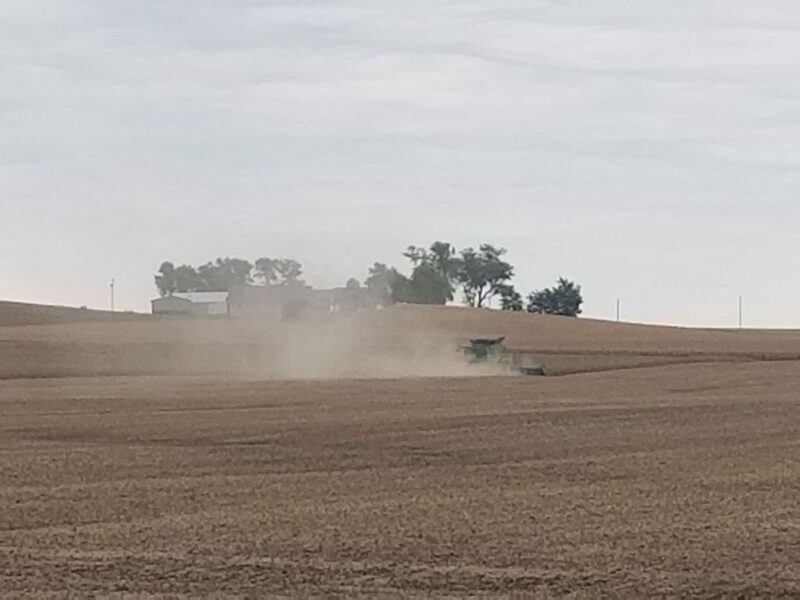 Harvest pace could slow down as anywhere from 0.75 to 1.5 inches of rain fell early this week, and it’s possible we might receive 2 to 3 inches more. Combines are starting to roll. 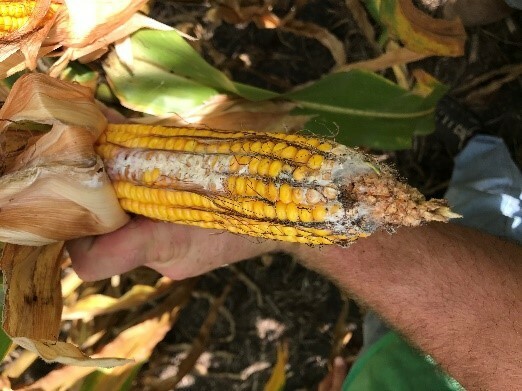 Corn harvest is under way, mostly in stress-related areas that are showing some stalk integrity issues. Both soybeans and corn will be harvested at the same time this year. It will be important to prioritize fields for harvest order. Have a safe harvest! It’s not often that we’re harvesting corn on Sept. 18 in North Central North Dakota. This field of LH 3397 VT2 PRO RIB was harvested yesterday at 18 moisture. Yields are average to slightly above average. We’re happy with the results so far because of the moisture limitations in this area. Soybeans harvest is just now under way in most of my sales region. Yields, of course, are dependent on moisture. From what I am seeing now, I wouldn’t be surprised if they lower the North Dakota yield estimate again. 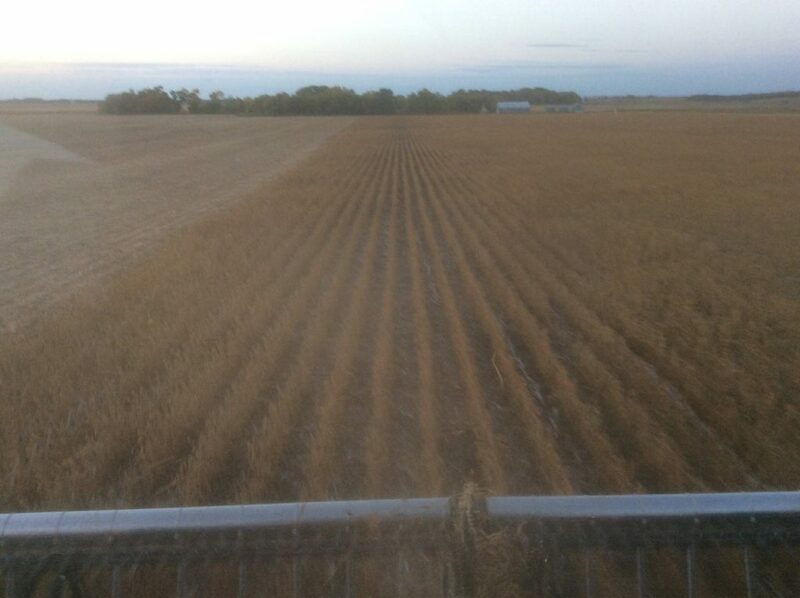 Pictured here is a field of L 0535 R2X soybeans being harvested south of Maddock, ND. Yields are lower than normal but not terrible. Setting combines this year will take many adjustments and looks to be field to field.